I need to pray more, and I mean really. Lately I realized that unless I'm praying with my family or my husband, my personal prayers have become small moments of introspective thought between all the other things I need to do. I've been so busy with my "have-to"s. When was the last time I actually formally prayed on my knees? This should be a daily thing. When did it suddenly become easier to waste time on Facebook or some pointless app then to kneel in prayer? 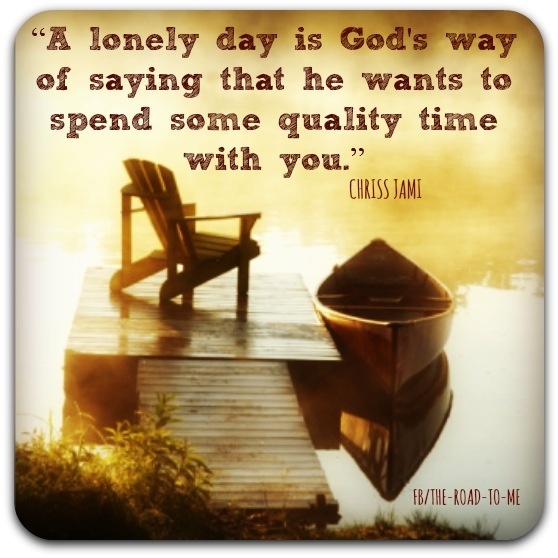 If I take the time to really talk to my Heavenly Father, I know I would feel closer to Him. I have never thought about it this way but my love language is QUALITY TIME. I must spend quality time with my family and my husband to feel loved and close to them. I must feel attended to, and I pay attention to others to show them my love. Am I paying attention to God? Am I spending quality time with Him? I haven't been. And I don't feel close to Him. And that's my own fault. I must do this daily and this will help me follow His will because I'll be able to feel Him with me, instead of feel like I'm grasping in the dark. I cannot do this alone. But God doesn't give me impossible things to do. His will is always possible. This morning I tried. I prayed. It felt forced though and I hate it. Why do I feel that way now? Has it become that distant and hard? During the prayer I began wondering this and suddenly a very gentle and quiet thought entered my mind that I had been shoving away because it's easy to do that to gentle, quiet things. I need to talk to my bishop and confess about my slip. Because I haven't. I've told my husband and said I was sorry. I apologized to God in this prayer. But I remember when I had talked to my bishop he had said if I ever have a slip I was to speak with him and update him on my progress. It's been a year with no problems so I haven't talked to him about it again. So I told Him I would. There are so many rationalizations not to go to the bishop. My husband even seemed to tell me I didn't have to. That makes me wonder how much he confesses to the bishop, himself. But for me, I know I must. This problem has lasted since I was a small child all because I didn't ask for help, and I never confessed to the bishop. The thought came to do that, but I was always too scared and it trapped me. Now I must do it, in order to really take Step 1 of being Honest and move on to the Hope in Step 2.